How To Use Pop-up Display Lights Model HKW-001-150W ? Pop up display lights is especially suitable for the exhibition, and the bright lights can attract customers’ attention quickly. This halogen lights model HKW-001-150W is one of our Pop Up Display Lights , it can use for Interior exhibit, Trade show display light,advertising area and Flat panel etc. 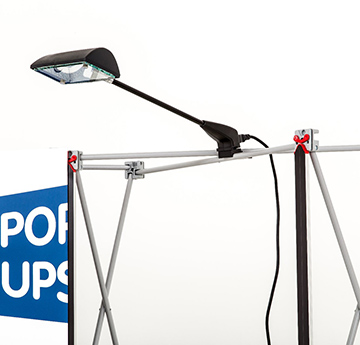 HKW-001-150W pop up display lights model has sleek and black frame, and 150 watts provides outstanding lumens with a straight arm and adjustable head ,the flexible design and convenient operation meet the needs of the customers. How to use of The display lights model : HKW-001-150W ? First,spread out the pop up stands and fix it. Second,please connect the handle to the slider,and put the slider close the net on the pop up display. 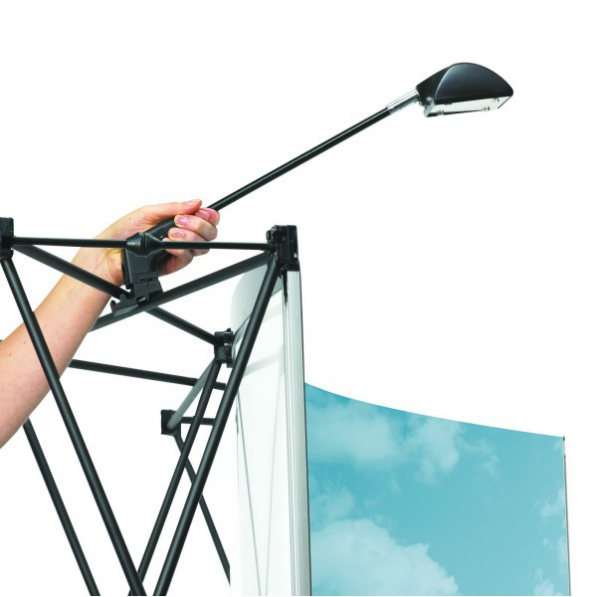 Model HKW-001-150W is lightweight and flexible,so it can easy to install and attach to your display stands. As a professional portable display lighting factory, we offer wholesale price, good quality and fast delivery.